Congratulations, you’ve decided to attend the BlogPaws conference this May in Nashville! You’ve made the decision about whether you’re bringing your dog or cat, but what about bringing your husband? Is your spouse, best friend, or partner still trying to decide if they want to join you at this year’s BlogPaws conference? I completely understand. I made the decision to attend the BlogPaws 2014 conference in Las Vegas, because I want to take my blog to the next level. In order to become a serious pet blogger, there is so much to learn. 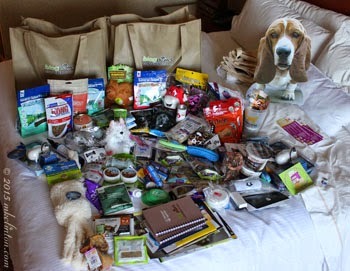 All of the people that I had met online in the BlogPaws community were so helpful. I knew attending the conference and speaking to these bloggers face-to-face would be invaluable. The line-up of speakers and classes were amazing! I really wanted my husband, Skipper to join me. After all, it was Vegas and the hotel was incredible! We looked over the itinerary to see which classes that I needed to attend. Then, we looked for some that we were both curious about and marked those. They really offered something for every interest from social media to book publishing. It didn’t take long to decide there would be plenty of things to interest him. We are both glad he attended. I asked him to answer a few questions about his experience last year. I hope that if you are still trying to decide on one ticket or two, this will help. Did you enjoy your first BlogPaws conference? Which sessions did you find the most interesting? What surprised you the most during our time? You aren’t a blogger; did you ever feel out of place? You took pictures for me at the conference. What can you recommend for others that want to capture the conference in photos? As you can tell, Skipper had a great time joining me. I’ll need him even more this year since Bentley will be coming. Whether you bring someone with you or attend alone, you will leave with many new friends. I would definitely recommend staying at the Sheraton where the conference is being held. If you do want to return to your room during the day, it will be so much easier if you are staying on site. It is also pet friendly, so that is another positive! You can see the program schedule for this year by clicking here. Every session and speaker is incredible, so you have to decide which will be the most beneficial to you. We are still trying to decide on a few of them. I've printed the schedule and highlighted the classes that I absolutely can’t miss. It is so exciting! Check out this video teaser for what is in store of us! Do you still need an extra incentive? We have a free evening to discover the city and just like last year, BlogPaws has chosen another fantastic venue…Nashville! Grab your partner and come kick up your heels and paws with us! 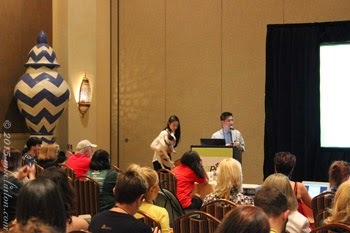 If you have any questions about the BlogPaws conference, don’t hesitate to ask. You can leave a comment below or join me in the BlogPaws Conference 2015 Newbies Group. Don’t let any unanswered question keep you from attending this year. You can use my discount code and save 10% on your tickets. Just enter BP15-Amb-Melissa-10 on your order form. Here are other links to help you learn more about BlogPaws 2015 in Nashville. I am adding this blog post to BlogPaws Pre-Conference Blog Hop. Visit these others blogs for more conference tips and information. Check back often for additional posts. Thank you dropping by our Thoughtless Thursday blog hop. We are happy to be co-hosting with our friends Ruckus the Eskie and Love is being owned by a Husky. Enjoy these other thoughtless bloggers too. Great event and great venue. It sure sounds like it is going to be fun. Have a tremendous Thursday. It sounds lots of fun. My bipeds say it's too far away! It does sound like a wonderful event. I wish I could go! Thanks for all the great information and tips!! It really sounds like you and Skipper had a great time. It is great to hear the the conference organizer make the event accessible and useful for everyone. Maybe I'll get out to the next one. My husband will be traveling with me this year, since it's actually close enough for us to drive this year. I am pretty sure a couple of dogs will be attending with us, too, but we're still working that out, and trying to work out logistics and finances. I'm planning on being there, though! Ahhhh sounds like SO much fun!!! My hubby went with me last year to Las Vegas, and he'll be traveling with me to Nashville this year, too. He attended the awards dinner on the last night, but while I was attending sessions and hanging out with my fabulous pet blogger friends, he found things to do around the hotel and the general area. It was a great time for both of us, and we're excited about the conference in May! Nashville is one of our favorite cities! WE always hear such Wonderful thingys about BlogPaws... can't wait to hear about this year's event. It sounds wonderful! If only it wasn't so expensive. BTW, we can confirm the rumor that there is a certain citizen of Blogville who will do something so shocking on the dance floor at the Heart 2 Heart Dance that everyone will stop and stare in amazement. This is fab. Dar has been to all 6 BlogPaws Conferences with me and so has Dex. Love this post and sharing! I am SO excited about going! My hubby won't attend...not his cup of tea...but for us that works out so that he can stay home and take care of the pets. Luckily I have a friend who wants to take the road trip with me! She will probably attend just one day of the conference, but she is looking forward to meeting people and pets too! We can't wait! This will be the mom's 3rd BlogPaws. She says the Vegas one was lots of fun and she's looking forward to Nashville. Thanks for all the great info, Melissa. 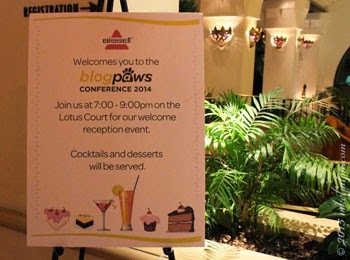 I've never been to a BlogPaws Conference but now I'm thinking about it! 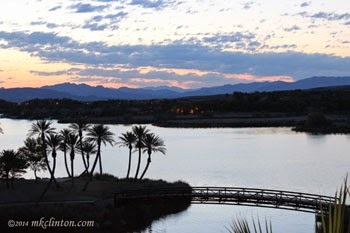 I'm going to BlogPaws 2015 and can't wait. I'm trying to decide if I should take BJ. If he stays home, my dog sitter stays at my apartment so he is where he always is. I was jealous of all the dogs at last years' conference. My doubts - BJ is 15+ and in good health. He doesn't like all dogs (especially Chow Chows) and sometimes barks or snaps at them, so I'm hesitant to bring him because of that. On the other hand, he loves people and plays with dogs he likes and I would love to have him with me. He will be allowed in the cabin on the flight; if he weren't I would not take him. That is my dilemma. I have to decide soon because of the flight arrangements. What a beautiful photo of you two. It's really fun to hear a spouse perspective. I've often thought of trying to twist Gloman's arm! interesting! We've never thought to get our dad to go too! One year I would like to go, I loved reading your answers, you got me curious now on the legalities of pinterest and giveaways. Yay! I'm excited to get to meet Bentley this year! (and see you again, of course). I am bringing my Mom to the first day this year. She isn't a blogger but after the last couple years, I know her love of everything pet related will make her very welcome. Plus, she *does* have an instagram...maybe this will inspire her to use it more! Thank you so much!! This was perfect and definitely helped with our decision. I'm purchasing Denton a ticket as well. We'll see if Shasta is able to travel in a plane (he does great in a car and is very social but we haven't tried the carrier so keep paws crossed)! Can't wait to meet you all!